Mohamed K. Seyam, Ezzat E. Moubarak, Abdul Rahim Shaik. Background: Diabetes Mellitus (DM) is a combination of chronic disorders that affect many systems in individuals which requires self-management education and support to prevent acute and long-term complications. Frozen Shoulder (FS) is a common complication among patients with Diabetes Mellitus and tendency to become chronic is high because of inflammation and fibrosis of shoulder capsule. Aim: To evaluate the effect of extracorporeal shock wave therapy for patients with diabetic frozen shoulder. Materials and Methods: Thirty patients with diabetic frozen shoulder were included in the study and they were divided into two groups. Group A consists of 15 patients (9 male and 6 female) and they were treated with extracorporeal shock wave therapy and therapeutic exercises for five weeks. Group B consists of 15 patients (10 male and 5 female) and they were treated with traditional physical therapy which consists of 3MH ultrasonic therapy, infrared and therapeutic exercise for five weeks. Shoulder Pain and Disability Index (SPADI) and Digital Goniometer were used as outcome measures to evaluate the pain and functional activities and degree of movements respectively. Results: Both group A and B showed significant improvement (P=0.0001) in reducing the shoulder pain, increasing the functional activities and range of movements of shoulder joint. However group A showed good Improvement Ratio (IR = 91.26%) in reducing the shoulder pain, increasing the functional activities and range of movements of shoulder joint compare to the group B (IR = 81.81%). Conclusion: Extracorporeal shock wave therapy and therapeutic exercises were effective in reducing the shoulder pain, increasing the functional activities and range of movements of shoulder joint for patients with diabetic frozen shoulder. Mohamed K. Seyam, Ezzat E. Moubarak, Abdul Rahim Shaik. The Effect of Extracorporeal Shock Wave Therapy for Patients with Diabetic Frozen Shoulder. Majmaah J Heal Sci. 2018; 6(2): 40-49. Mohamed K. Seyam, Ezzat E. Moubarak, Abdul Rahim Shaik. The Effect of Extracorporeal Shock Wave Therapy for Patients with Diabetic Frozen Shoulder. http://www.mjhs-mu.org/?mno=302643527 [Access: April 20, 2019]. Mohamed K. Seyam, Ezzat E. Moubarak, Abdul Rahim Shaik. The Effect of Extracorporeal Shock Wave Therapy for Patients with Diabetic Frozen Shoulder. Majmaah J Heal Sci. (2018), [cited April 20, 2019]; 6(2): 40-49. Mohamed K. Seyam, Ezzat E. Moubarak, Abdul Rahim Shaik (2018) The Effect of Extracorporeal Shock Wave Therapy for Patients with Diabetic Frozen Shoulder. Majmaah J Heal Sci, 6 (2), 40-49. Mohamed K. Seyam, Ezzat E. Moubarak, Abdul Rahim Shaik. 2018. The Effect of Extracorporeal Shock Wave Therapy for Patients with Diabetic Frozen Shoulder. Majmaah Journal of Health Sciences, 6 (2), 40-49. Mohamed K. Seyam, Ezzat E. Moubarak, Abdul Rahim Shaik. "The Effect of Extracorporeal Shock Wave Therapy for Patients with Diabetic Frozen Shoulder." Majmaah Journal of Health Sciences 6 (2018), 40-49. Mohamed K. Seyam, Ezzat E. Moubarak, Abdul Rahim Shaik. "The Effect of Extracorporeal Shock Wave Therapy for Patients with Diabetic Frozen Shoulder." 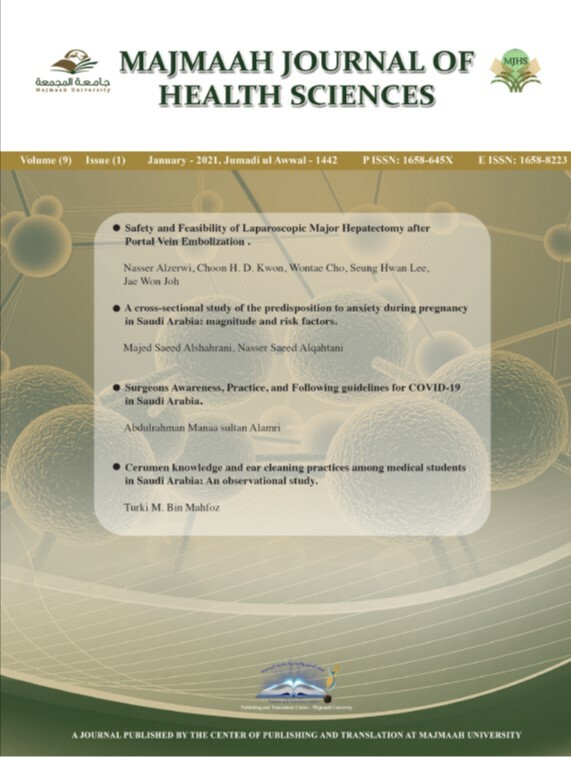 Majmaah Journal of Health Sciences 6.2 (2018), 40-49. Print. Mohamed K. Seyam, Ezzat E. Moubarak, Abdul Rahim Shaik (2018) The Effect of Extracorporeal Shock Wave Therapy for Patients with Diabetic Frozen Shoulder. Majmaah Journal of Health Sciences, 6 (2), 40-49. Majmaah J Heal Sci. Year: 2018, Volume: 6, Issue: 2: 40-49.